The long road trip for Lakers has given Kobe plenty of time to catch up with some other TV stars. In New York he took a moment to snap a pic with Vinny of Jersey Shore. 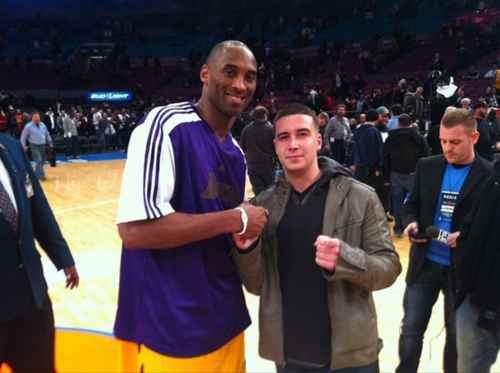 Wonder if Vinny gave him any advice for the next Black Mamba spot?